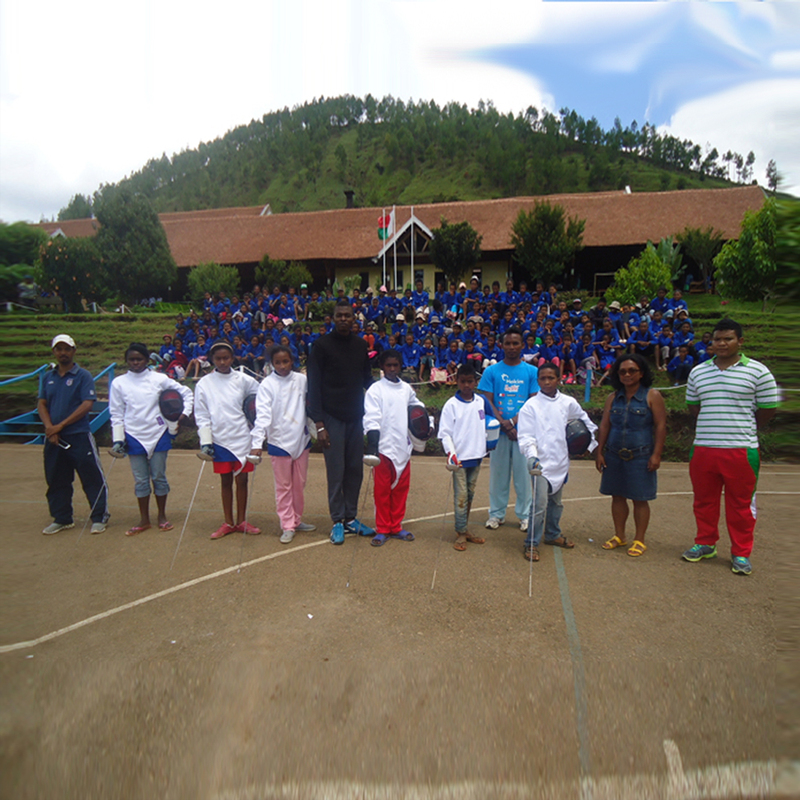 The Olympic Solidarity training course for fencing leaders in Madagascar involved three 7-day sessions between December 2015 and February 2016. The Madagascan federation wanted participants to achieve “leader” level. The first two sessions were led by Maître John KAMATE, with Maître Hugues LESEUR being in charge of the third one. In the third session technical conditions were disrupted by bad weather which forced the federation to find other buildings with cement or tiled floors, which are less suitable for intensive training. However, the cooperation of the organisers coupled with the trainees’ wishes meant that the course was able to achieve the expected results. Sixteen participants were involved in the third course which lasted from the afternoon of Monday 22nd to midday on Sunday 29th February. Participants were able to rest on the afternoon of the 28, with the 29 being taken up with discussing protocol with the Olympic committee. Twenty-three and a half hours were spent on practice and nine and a half hours on theory in the course of the week. - The basics, with and without weapons, the concept of distance, simple attacks and their associated defences. - The role of the teacher with a group or in a duel. This was combined with a video projector display of individual or collective lessons given by expert Maîtres. 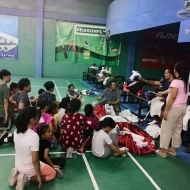 A final test lasting 15 minutes was scheduled and performed by each trainee in the presence of all the others, supervised by the technical manager for Madagascan fencing RANDRIAMANARIVO Mickaël together with the expert. This consisted of asking a student, picked at random, to act as a teacher, presenting one section based on the foundations and another individual lesson involving personal technique, covering the concepts of simple attacks and parry ripostes, making a distinction between the aspects arising from the exercise and those coming from the situation. The final evaluation concerned the degree of trainee satisfaction with their ability to deal with a group of beginners unaided, and the federation’s confidence in having leaders in the three central regions of the State who are able to support its development plans. In view of the fact that a Madagascan trainee is currently attending the FIE training school in DAKAR, the federation envisages that its immediate future must involve creating the necessary structures for developing fencing and will put off to a later stage the training of Maîtres outside the country.